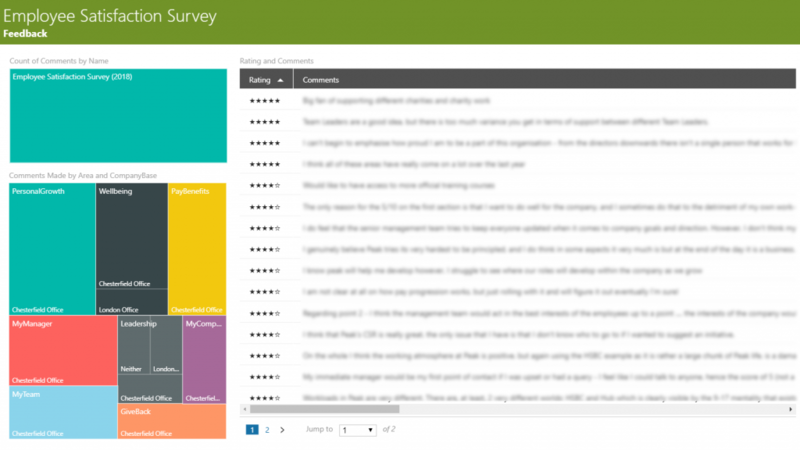 Over the last few weeks we’ve been engaging with more clients on the topic of custom solutions in Office 365. 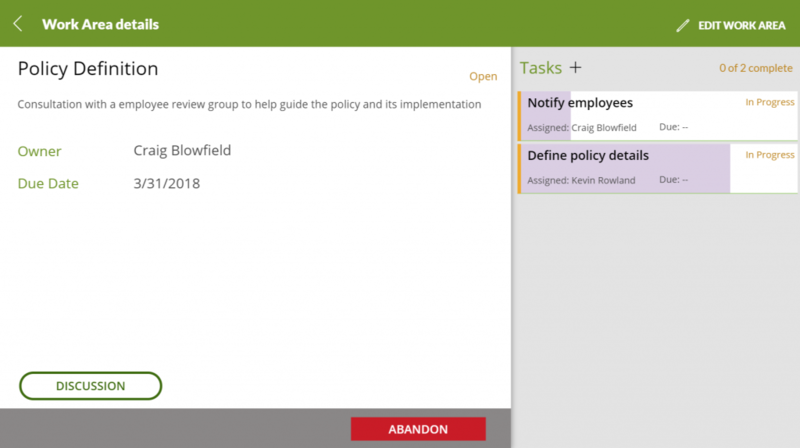 PowerApps have been at the forefront of the discussions and it now seems with SharePoint’s modern UI roll outs it’s just a matter of time with any client before PowerApps, Flow and Power BI enters the discussion. 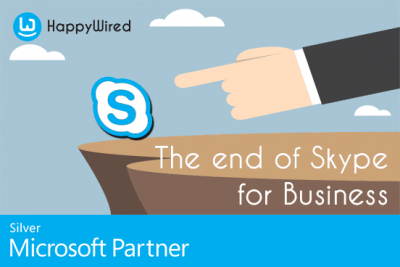 This to us is of course a relief after adopting the PowerApp approach since preview and upskilling our team on the use of PowerApps for building bespoke solutions. 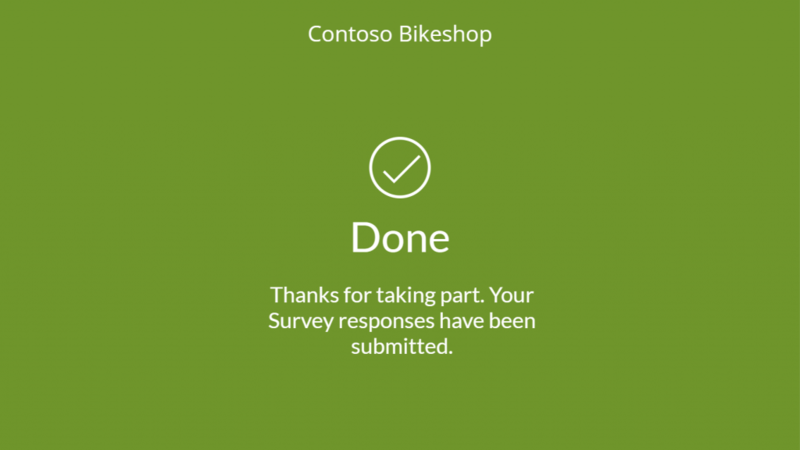 We now have several applications under our belts, with each providing an engaging solution hosted in several platforms including Microsoft Teams, Mobile, and SharePoint. Creating solutions doesn’t need to take forever and have complex development cycles. Small functional applications can be developed in around the time previously taken to create a moderate InfoPath form. 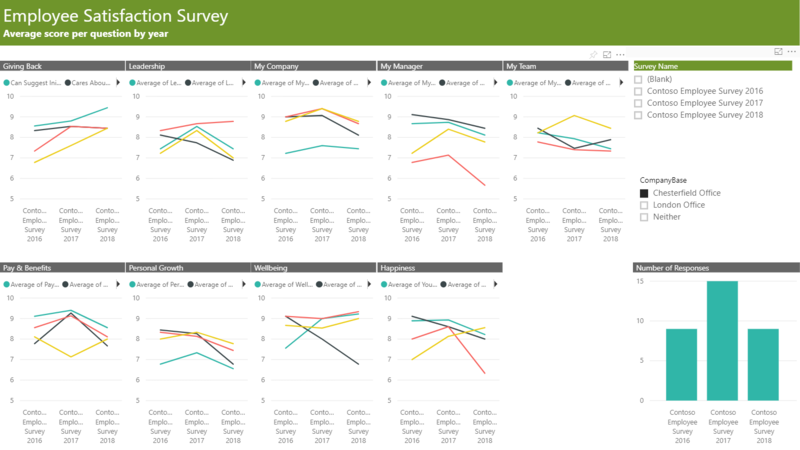 Typically, companies already have sufficient licences for running the PowerApps and Flows within their Office 365 subscriptions, the only ongoing additional cost is Power BI Pro for users wishing to access and collaborate on reports and dashboards. 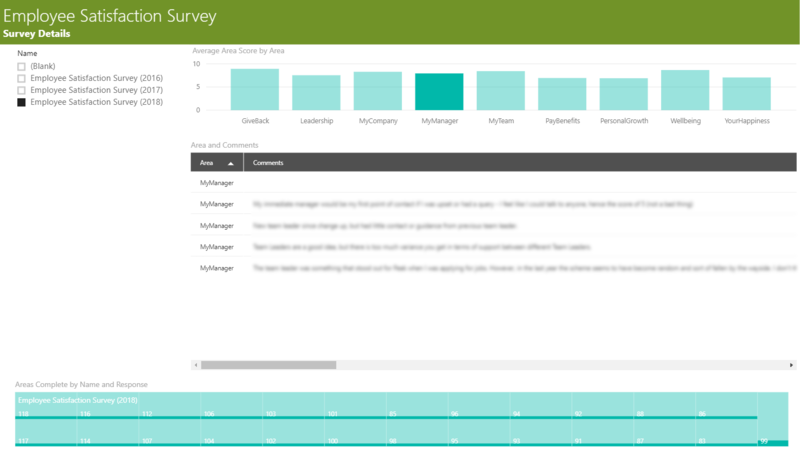 Provides yearly surveys to measure employee satisfaction and analysis of trends and results. 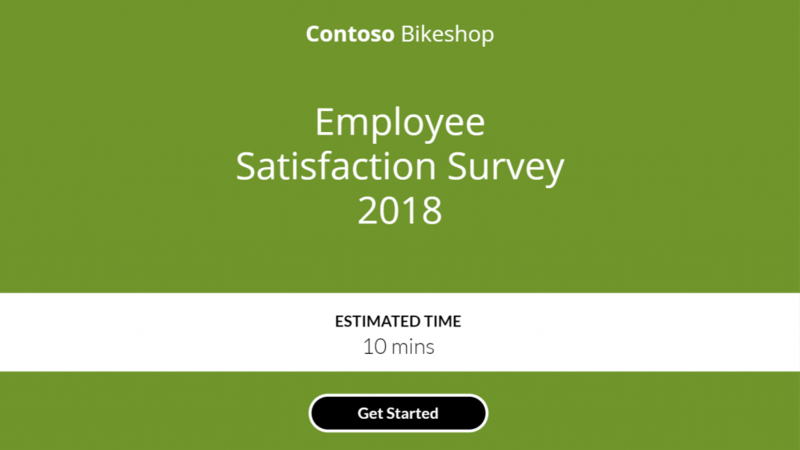 Built around the precise needs of our client we created an application for measuring the satisfaction over time of their employees. The application was built upon existing data from previous years on Survey Monkey, then extended to meet their future needs. 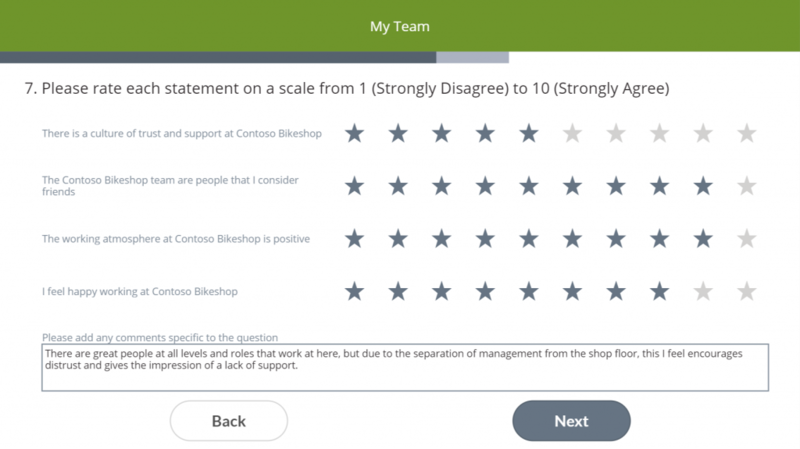 The results from the surveys are providing great insight and influencing the business strategy and improving employee happiness and engagement. 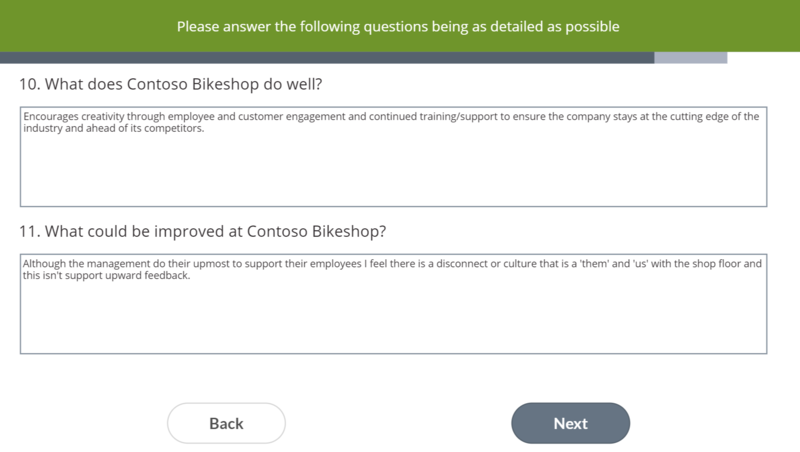 We initially reviewed the uses of Microsoft Forms with the client but discovered limitations that we’re not acceptable for the solution. 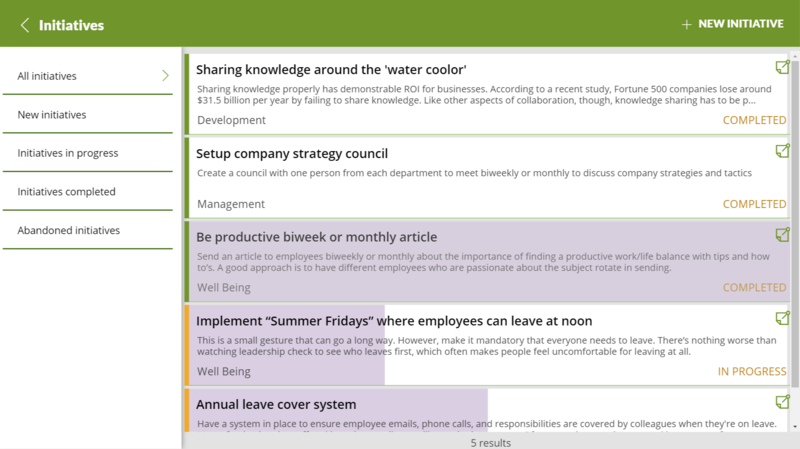 Helps track, organise, and provides visibility of corporate initiatives of an organisation. 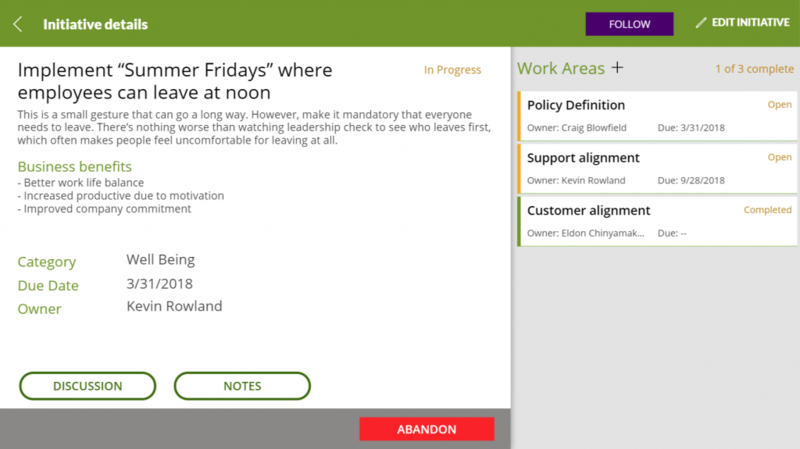 This application was built to help a client create and track progress on initiatives being delivered by the senior leadership team. 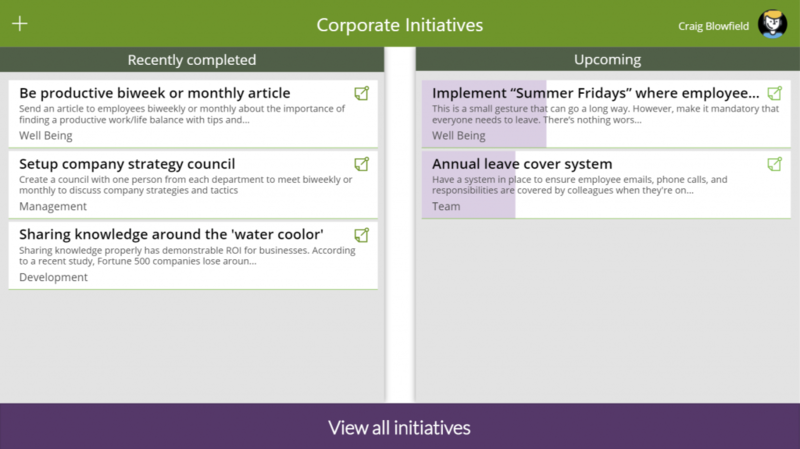 Hosted within Microsoft Teams the application provides 3 levels of work items for initiatives, work areas, and tasks. 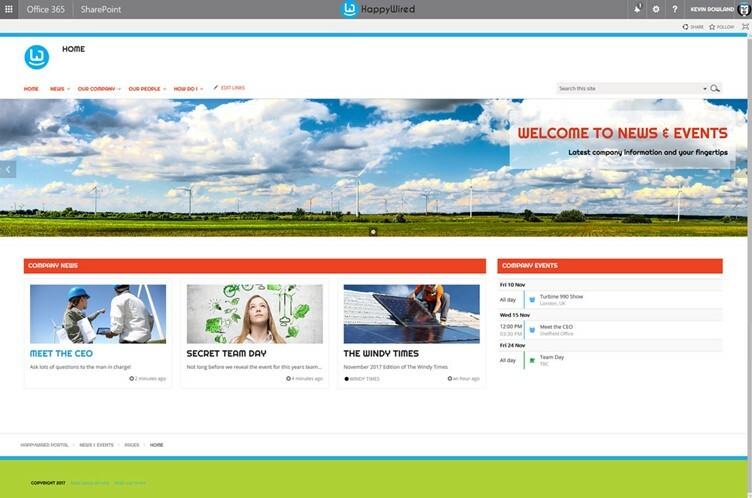 The application posts automatically to an active corporate Yammer group notifying the employees on the progress of the initiatives, providing clarity to the employees of what the SLT are working on which will benefit their working lives. 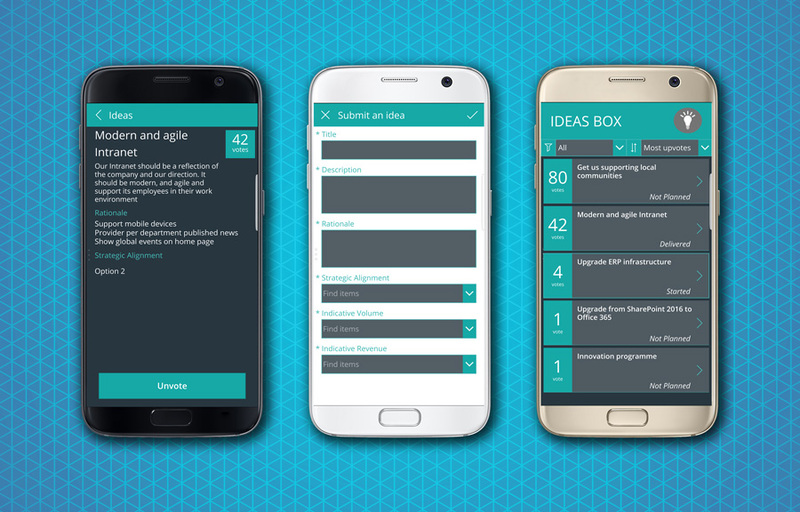 Mobile application for suggesting new business ideas that can be collaborated on within Microsoft Teams and voted for by other members of staff. The output could easily be fed into another application for progressing the idea into production. A simple application built as a proof of concept. 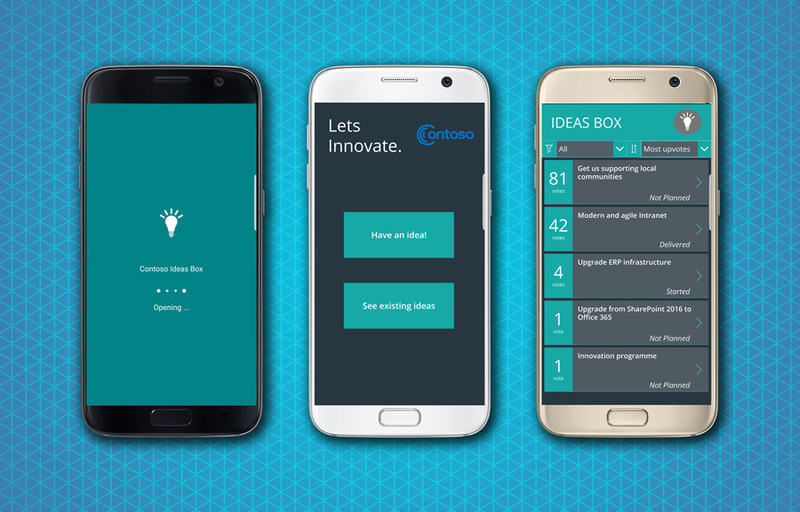 This mobile application built in PowerApps allows users to create ideas and vote on them. 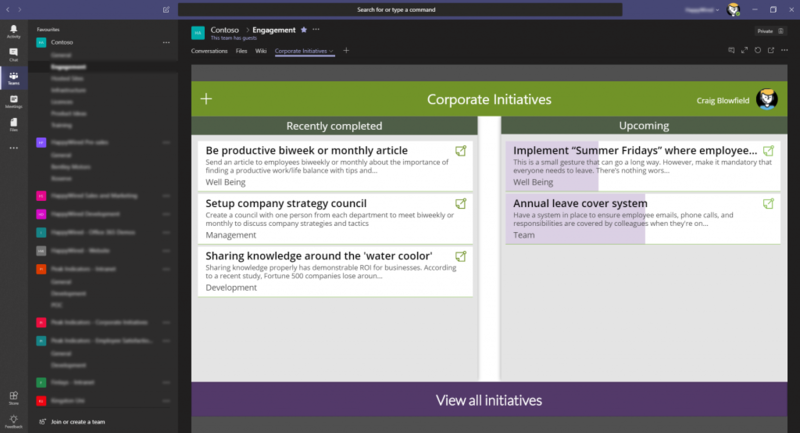 Creating a new idea also creates a new channel in Microsoft Teams allowing for further discussions on the idea and promote the idea on the Teams platform. The application took 3 hours from concept to completion and we are now using this application internally. This application allows for business to easily model different portfolio scenarios and standardise project roadmaps across their business. We built this application as a proof of concept for a client meeting to showcase what is possible to create in PowerApps. The application provides document and task management over various stages, with approval / review gates. The application will have multiple uses in the future and is easily adaptable to many other applications. Each stage of a process has tasks and documents that require completing prior to submitting. Document management is provided by SharePoint / Teams. 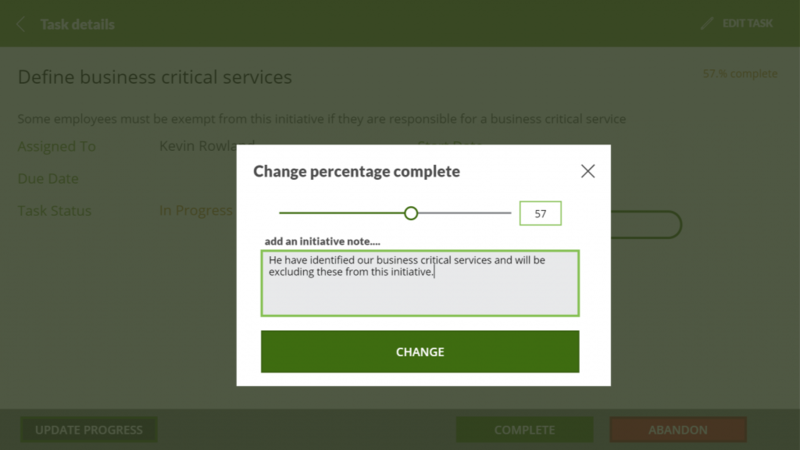 The gate / review process is managed by Microsoft Flow, enabling business logic and approvals to be completed prior to opening the next phase or killing the process. Although the application was built to show an innovation from idea, through funding and into production, the application could also be used for any process that requires regular approval to move through a dynamic number of gates and statuses until completion. 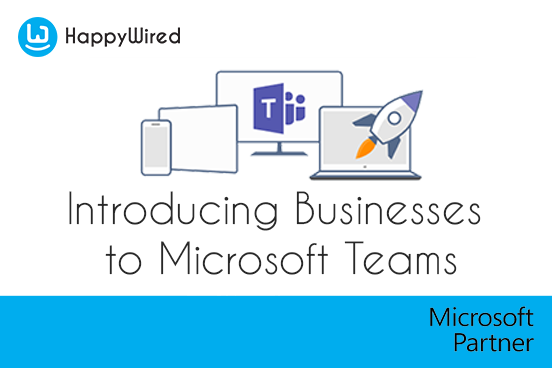 The use of Microsoft Teams associated to each innovation idea also provides a great platform for collaborative working. 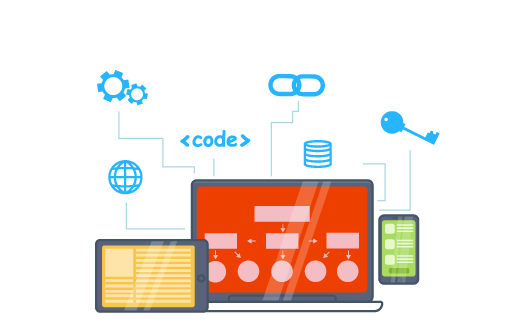 Almost any type of application can be built with PowerApps and with the number of API’s and connectors available we’re able to build applications surfacing information from around your organisation. 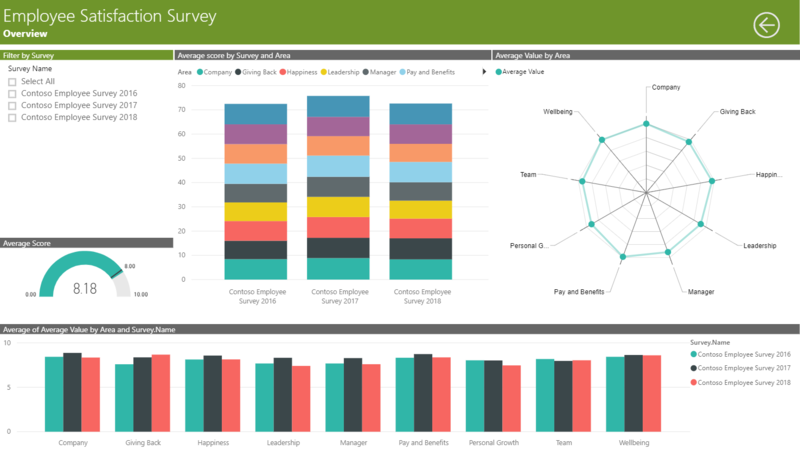 One of the key benefits to the approach we take, is business power users can alter the business logic in Flow, alter forms and UI in PowerApps, and analyse the data in Power BI without continually raising change requests. Office 365 & SharePoint consultant with 20 years experience in software design and development. Passionate about learning new technologies which have a positive impact on business culture, and delivering enterprise level solutions that are a joy to use. 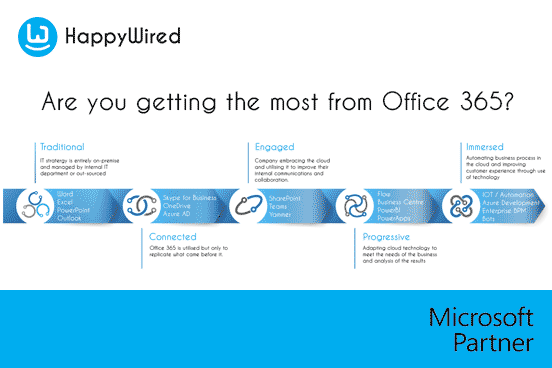 Are you getting the most from Office 365? Learn to be productive in Office 365. Bring your systems in to your digital workplace.